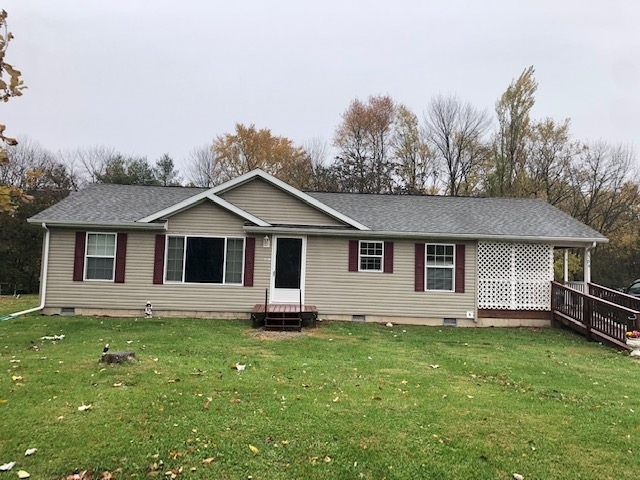 Just a short distance from West Lafayette you will find this well maintained one story home with 3 bedrooms, 2 full baths, lovely kitchen with island and lots of cabinets for all your storage needs. You can either entertain in the living room or watch your favorite movie in the family room. Covered front porch to read your favorite book. Large backyard with garden area, and storage shed. Handicap ramp is installed on front porch. This is one home you won't want to miss. Give us a call for your private showing. Directions:US Hwy 52 to Oxford, 352 is same as Benton St. follow 352 to Howard St., turn left, property on left. Listing provided courtesy of Burton Farm and Home Realty.